Do you know what octroi refers to? Well, before investigating the history of Paris, I had no idea. Apparently it’s a local tax levied on goods coming into a city and can sometimes refer to the place where that tax is collected and the people collecting it. The Romans had such a tax but didn’t call it octroi. In the middle ages, French cities flexed their muscles and demanded the right to collect taxes – demanded is probably too strong a word as the reigning sovereign had to approve such matters and wasn’t above taking a share for his own coffers. 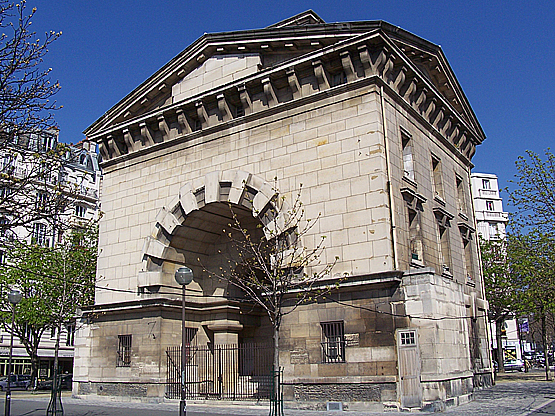 Paris was one of the cities to apply an octroi to goods coming into the city. By the mid to late 1850s, Haussmann had an idea. Expand the city limits of Paris. In that way, the collection points for the octroi would encompass more goods and transactions and hence more funds, and the inconvenience factor would disappear. Eminently sensible particularly at a time when the rebuilding of Paris required a lot more money. Haussmann was good at manoeuvring. He made clever arguments to the right people including Napoleon III and by January 1, 1860 the city boundaries had expanded. Kirkland sums it up like this: “Overnight, the city grew from thirteen to thirty-three square miles and gained 400,000 new inhabitants, taking its population from 1.1 million to 1.5 millions.” Paris now incorporated towns like Belleville, Montmartre, Passy, Auteuil and others. And a new arrondissement structure came into effect. Octrois in Paris and throughout France were finally abolished in 1948. I expect that warning still applies today! Because my fancy vocab in French is a little rusty, I decided to look up octroyer. It means to give the right to. It fits perfectly well with giving the right to merchants, who paid it, to bring their goods into Paris. For me, the word brings memories of French history before 1789. Thanks, Mary, I love these flashbacks!